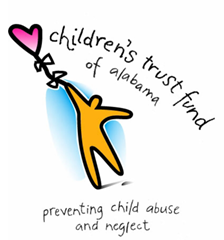 This is a service that provides seminars and training to civic organizations, church’s, youth groups, schools, daycares, social service agencies or other groups about various topics related to child abuse prevention, positive parenting skills and/or basic living skills. To assist the Exchange Club in serving your needs, please complete this form as part of any request for us to speak at an event. Please note that completion does not confirm acceptance. This service requires a $50 honorarium in Jefferson County, $50 + mileage outside Jefferson County. Please submit at least 30 days in advance. Exchange Club Participation needed for Entire Event? Will there be any other speakers? The Exchange Club CAP Center began serving families in 1987. Today, the Center continues to provide support and education services to both Children And Parents. We offer 7 diverse programs designed to Educate, Motivate, Inspire, and Empower participants to break destructive cycles that impact children and families. Exchange Club is on Facebook! Strengthen Families & Breaking the Cycles of Child Abuse and Neglect through parent education and support services. Our Core Values: •	We are open-minded. We believe people can change. •	We are a compassionate and knowledgeable team dedicated to fulfilling our mission. •	We strive to educate, motivate, inspire and empower. •	We evolve fast. We Take risks and confront challenges that are relevant. •	We are unified, respectful and supportive. Don't forget to wear blue every Monday in April to bring awareness to Child Abuse Prevention! Make sure to post your pics, tag us and use our hashtags! Thank you American Legion for these great shots! Did you know over 10,000 children were abused in 2017? We give a huge Thank You to Alabaster for turning the city blue to help bring awareness and bring an end to child abuse! Helping grow healthy families. This is why we do this. 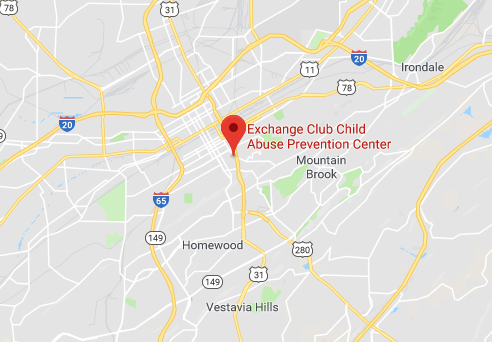 When Exchange Club Child Abuse Prevention (CAP) Center Director Stacy Hopkins launched the Power of 13 campaign, she wanted to bring awareness to the Birmingham community for National Child Abuse Prevention Awareness Month in April. Check out the article in Iron City Ink!